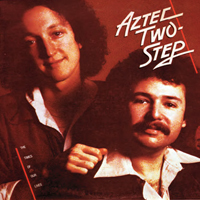 Formed in 1971 AZTEC TWO-STEP is an acoustic soft rock duo. They were a regular on the folk festivals circuit in USA for decades to follow and they have released over a dozen albums. The band members met on an open stage at The Stone Phoenix in Boston and within a few months of working together they recorded their first album as a duo.